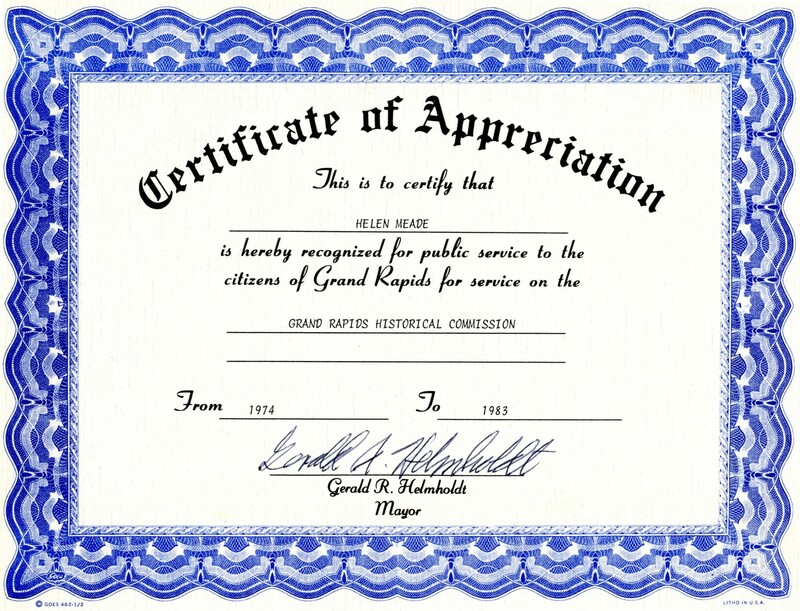 Helen Meade received this certificate, signed by Mayor Gerald Helmholdt, for her years of work, 1974-1983, for the Grand Rapids Historical Commission, especially during the time of the Bi-Centennial Celebration. Title by cataloger. 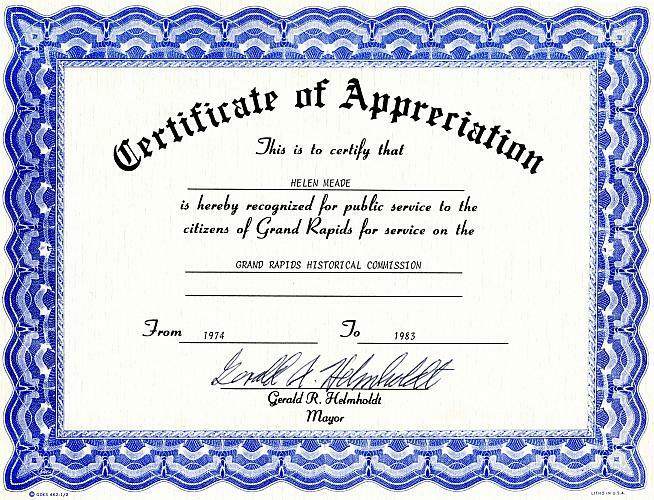 From 1963-1966 when the Grand Rapids Historical Commission book, The Story of Grand Rapids, was being compiled Meade assisted the editor, Z.Z. Lydens, as a consultant on municipal affairs and was acknowledged in the book.